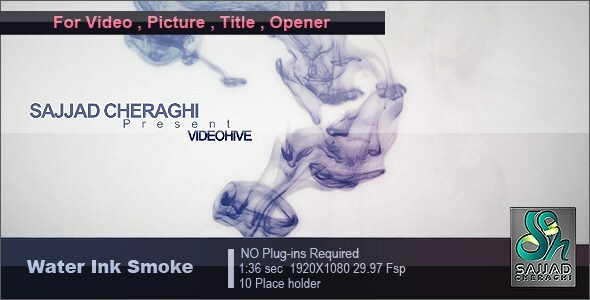 Direct - Videohive Water Ink Smoke Logo Reveal 1722263 After Effects Template -=TeamOS=- | Team OS : Your Only Destination To Custom OS !! The inks are falling in the water like smoke and placeholders made from smoke very smoothly. The Aftereffects project is created for user title, memory album, fashion gallery, and videos display the project have an inspiration to floating smoke in the sky and is very gentle, mild, smooth, moderate and soft process motion graphic. Also, a user can use ink drops falling in water footages separately for title or slideshow. The After Effects template is an AEP project and created to be easily customised. Insert text, change fonts, colours. OS: Microsoft Windows® XP/Vista/7/8.1/10/ (both 32 & 64-bit). Looks great @Mirkec . Thank you for the share.